Should You Age Your Cigars? The answer, I have to say, depends on you and your personal preference PLUS the kind of cigar. So how do you know whether you should age your cigar or not? 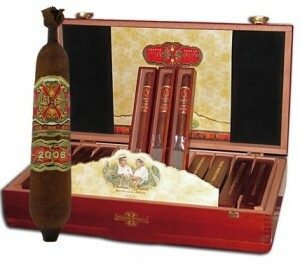 If you are a new to the cigar smoking world, you might not have an all time favorite cigar yet. Or perhaps you do – you never know. Here is a suggestion to help you determine if you actually should age cigars. I have to warn you, though, this will take a long time. So here is what you should do. Get your favorite cigar and set it up for aging. The best thing you can do with respect to this is to get yourself a good humidor if you don’t have one. If you can’t afford it right now, then you might want to ask a friend if you could put your cigar in his humidor. Otherwise, you can’t really age a cigar properly and if you are planning on aging cigars in the future, you really need one. Age your cigar for 6 months to a year and at the end of that time, purchase another cigar – same brand and flavor – and then compare how they both taste. See which one you prefer and you will have your answer. At this point, I hope that you have decided as to whether to age your cigars or not. If you have decided to age your cigars, then you should be in the market for a humidor already â€“ if you have not already bought one. Before you jump ahead and start storing your cigars in your new humidor, however, you should remember to season your humidor. One of the worst mistakes that you can make is to use that brand spanking new humidor without seasoning it! So how do you do this? Read on to find out. First, why do you need to season your humidor? This is because the cedar that is the material used for the humidor also absorbs moisture. Brand new humidors and old humidors that have not been used in a while need to be seasoned because the cedar does not have sufficient moisture itself. What will happen is that the wood will actually GET moisture from your cigars if you use the humidor without seasoning it. In order to season your humidor, you have to get distilled water. Remember, it should be distilled and not tap water. Get a sponge and wet it with the distilled water. Then you should wipe down the whole inside of the humidor. 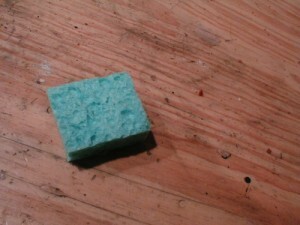 After this, put the sponge â€“ which should not be too saturated â€“ on top of a piece of plastic inside the humidor. Then follow the manufacturerâ€™s instructions as to how to fill your humidifying device. Wait for 24 hours, repeat the sponging process, and then wait another 24 hours. It should then be fine to use your humidor. Just make sure that the insides are not damp. Tobacco leaves are the main components of cigars today. The qualities of lit cigars vary on the curing time allocated for used tobacco leaves which would usually last between 25 to 45 days. Other factors such as the temperature and climate conditions are contributing factors to which tobacco leaves are considered prior to actual manufacturing of the end product that most people know today as cigars. After the proper curing time for quality tobacco leaves has been derived, it would all depend on the person tasked to roll and produce the cigar products. The person assigned to do such rolling and packing of cigars can make multiple cigars in a day after which they are finely cut to size to fit in the usual carton cases we see today. The length of time to which they are stored is not a factor to be worried about, but on the contrary is better if they are stored lengthily under proper levels of temperature for more premium taste once they are lit.